Dramatica : Evening, Wolfman! Ben, wasn’t it? Hiya, Delta! Delta Wire : Hi, this is my first time!! Dramatica : Well, Glad to have you here! Wolfman188 : Hi, yes it’s Ben. Just got here. Out of breath. Back in a minute with a cold beer. Dramatica : Any questions on the Dramatica Theory or software? Hey, Ben, bring one back for me too! Delta Wire : Me too. Well, as far as theory I don’t know too much about Dramatica. Dramatica : Delta, do you have to software? Dramatica :read some of the class logs? Delta Wire : I liked the critique of Jurassic Park and search out class logs, yes I’ve read them and like what was said. Wolfman188 : Is this Melanie? Dramatica : Yep, Melanie it be! At your service! Wolfman188 : You have a wonderful mind, Melanie. I’m impressed with what I’ve read so far in the book. Dramatica : Well, Ben, it’s the condensation of over 15 years of hard thinking, so I’m sure it looks more brilliant than it was for us to figure out! Thanks for the compliment, though! Delta Wire : What book Melanie?? Dramatica : Delta, there is a theory book about Dramatica, that stands separate from the software. Delta Wire : Oh, I’ve seen some of the story theory in class logs and was intrigued. Wolfman188 : I have the software, Delta. It’s a superb system that’s complicated but worthwhile. Dramatica : Dramatica is two things: A new theory of story, and the software that implements it. Evening, Boon! So, I’m here to answer any questions about either the software, or the theory behind it. Delta Wire : How does Dramatica deal with theme? Dramatica : Well, let’s look into that.. First of all, Dramatica sees four separate throughlines in every story, and each one has its own theme. I’ll describe each of the four throughlines, then focus on one to show how theme works, since each throughline has the same kind of thematic dynamics, just applied to different things. The four throughlines are: Objective Story, Subjective Story, Main Character and Obstacle Character. These are the four threads the audience will seek to follow as the story unfolds. The Objective story consists of the “logistics” of the story. In a sense, if a story is a battle, the Objective story is the overview, much like the perspective of a general on a hill overlooking the battle. From here, the soldiers are identified by their function, like foot soldier, cook, bugler, etc. The Main Character throughline, in contrast, positions the audience IN the battle. The audience zooms down into the body of one of the soldiers and experiences the battle first hand through them. This is the most personal of perspectives, when the audience identifies with a character. Main Character, by the way, does not have to be the “protagonist”. Not only is “protagonist” an archetype, rather than a “complex” character, but they are also the one “leading the charge” in the battle. The audience MIGHT look through their eyes, but they could just as easily be positioned by the author to experience the story through the eyes of the cook, the bugler, or even an “enemy” soldier. The third throughline is the Obstacle Character throughline. As the Main Character does the best they can with their inside view, they run into another character who stands in their path. This Obstacle Character tells them to change course. The Main Character can’t tell (through the “smoke” of the story’s dramatic battle) if that Obstacle Character is an enemy trying to fend them off, or a friend trying to keep them from running into a mine field. Obstacle Characters can be friends like Obi Wan Kenobi to Luke and even Hanibal Lecter to Clarise Starling, because they are both telling them what they need to do to resolve their personal problems. They might also be enemies. But since the Main does not HAVE to be the Protagonist, the Obstacle does not have to be the Antagonist either. Protagonist and Antagonist are in the Objective story, defined by their dramatic function, just as the soldiers in the Objective battle are described by their military function. Finally, we have the fourth throughline, the Subjective Story. As the Main Character approaches the Obstacle, the two of them end up in a very personal skirmish in the middle of the “battle” at large. The Obstacle yells, “change course!” and the Main yells back, ” “Get out of my way!” The relationship between the Main and Obstacle is the Subjective story. Now, each of these throughlines has a thematic focus. The thematic focus is simply the value standard by which the author says we should evaluate what happens in that throughline: what is good, what is bad. What is better, what is worse. In Dramatica, we call that thematic focus the “range” because it is the scope or “range” of the author’s standard of values for that throughline. Typical thematic ranges might include Morality, Self-Interest, Skill, Experience, Instinct, Conditioning, etc. Delta Wire : I’m a bit lost if you used Star Wars as the example, who serves what function In the battle how are the themes different? Dramatica : Okay, in Star Wars…The Objective Story is the effort of the rebels to destroy the Death Star. Everyone in the story gets caught up in that, which is why it is the Objective Story. Luke, who is the Main Character, is much more concerned with becoming a hero. He wants to get into the fray, have adventures, and make a name for himself. Obi Wan sees in Luke the potential to do great works for the betterment of the galaxy, but realizes that Luke must mature in order to call upon his “genetic” skills as a Jedi. Now, each of these four throughlines has its own thematic focus. I don’t have our breakdown of Star Wars in front of me, so I can’t give you the specific Dramatica terms, but I can speak by story example of the four themes. In the Objective Story, the theme deals with the Big Bad guys, against the Little Good guys. And the message of that theme, is the simple oft used one, Good will triumph over evil. It is the old David and Goliath story, expanded to become the Empire and the Rebellion. The theme of Luke’s story, is that if you believe in yourself and your abilities, anything is possible. The theme of Obi Wan is that skill itself is not enough, one must also have experience. Which is why all the training and education. The subjective story theme is about enlightenment. It follows the growing impact of Obi Wan to show that only through trust and faith, can one finally reach a higher state of being. Now, those four themes are quite distinct and separate. Even though in the story as a whole they are all blended together. That is the nature of weaving a story: to be able to make sure that each throughline is complete, unbroken, and has all the parts and steps necessary to make its point, but also to weave it in with the other three so that the impact of one throughline’s theme can be judged against the others. Taken together, this interplay of value standards determines the ultimate emotional “message” of the story at the thematic level. So, Dramatica sees a thematic “range” in each of the four throughlines. But “range” is not enough! First of all, we need a thematic “counterpoint” because only if the thematic point is played against its opposite, can the audience “see” that it is better or worse than the alternative approach. So, thematic conflicts become things like Morality versus Self-Interest, and Skill versus Experience and Instinct versus Conditioning, for example. Still, that only tells us the “nature” of the theme. That just outlines the dramatic state we are considering. But to explore that thematic conflict requires that the theme be “developed” as the story unfolds. You don’t just come out and say, “here is the thematic conflict and this is how it comes out.” You have to “prove” to you audience that one side of the thematic conflict is better than the other. And this happens in the thematic “progression”. In Dramatica software, when you make choices about what the thematic conflict is in each throughline, and then decide some things about how you want the story to end up, such as “success” or “failure”, and, does the Main Character resolve their personal issue (good) or not (bad) then, the Story Engine can “predict” the topics and order of your thematic progressions. That is part of the “magic” of the software. You outline something halfway, and Dramatica can fill in the rest of the pattern with information you didn’t put in. Dramatica : So, each throughline will get a “series” of thematic conflicts through which the story will unfold. The Main Character’s series will describe their growth at a thematic level, for example. In fact, there will be six thematic conflicts in each throughline’s series. That is not a fixed number, but a “minimum” to fully describe the thematic “argument” in each throughline. Here’s how it works. Dramatic items in Dramatica always come in fours. Each group of four is called a “quad” and represents one “family” of like dramatic items. For example, one quad contains Faith, Disbelief, Conscience, and Temptation. Taken together, the quad is a little “dramatic circuit” with the four items representing the Potential, Resistance, Current, and Power of that family. Delta Wire : So the themes are grouped?? Dramatica : Yes, they are grouped like Morality, Self-Interest, Attitude and Approach. When you have four items in a group, you can see that six different conflicts are created: For example, Morality versus Self-Interest, Morality versus Attitude, Morality versus Approach, Self-Interest versus Attitude, Self-Interest versus Approach, Attitude versus Approach. Those are the six thematic conflicts of that quad. So, if that was the thematic quad for one of the throughlines, each of those six conflicts, would represent one “thematic scene” in the development of that throughline. The thematic issue of that throughline the thematic argument, could not be “proven” by the author to the audience until all four items are “measured” against each other, through six interactions to show which is overall the way to go. Now, with four throughlines, that creates 24 different thematic “scenes” in each complete story as a minimum. Each of those scenes forms the basis for one of the dramatic scenes that MUST occur in a story, in order to FULLY examine and issue and make a point. Do keep in mind, however, that not every story is designed to fully explore an issue or make a point! 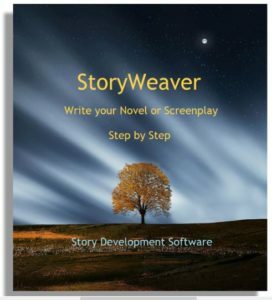 By using the software, an author can answer overall questions about the nature of their story,and be presented with an ordered “progression” of the kinds of scenes they will need to write. That’s the magic part for me, when I am using the software! It’s kind of spooky, actually! More questions on theme, or something else? Delta Wire : It thinks for you?? Does it give choices? Dramatica : The way the software works, is to say that every story has a limited number of pieces that must be in it -kind of like a Rubik’s Cube of story. There are relationships between the pieces. In a Rubik’s cube, for example, corners will always stay corners, and middle pieces always stay in the middle. Still, with only 27 pieces, it will create 40 trillion, trillion combinations! There are a lot more pieces that 27 in a complete story. When you make choices, you choose how you want things arranged, dramatically, and because Character impacts, Plot, impacts Theme, the choices you make have ramifications. You can’t mess with one thing without changing the meaning of something else! So, Dramatica “calculates” the impact on the other areas of story, and “predicts” what must be done to be consistent with the dramatics you have already chosen, so you won’t be working against your own message. 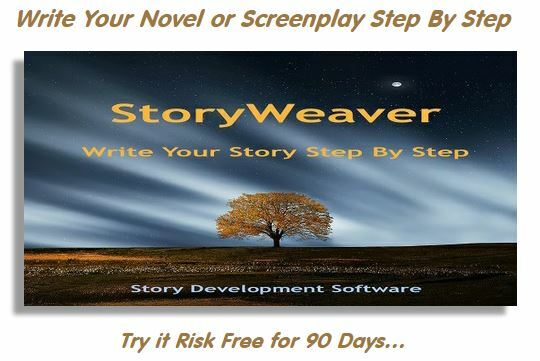 Wolfman188 : Hopefully, next week I’ll start to use the software before I rewrite a novel. Is that common? Dramatica : Ben, some authors like to work out structure ahead of time, others like to go “organic” and just let it flow, then work out the spine of it all. Either approach works with Dramatica, through there are “tricks” that make it easier, depending upon which approach one wishes to take. Wolfman188 : I’ll do that next time. I’ve promised a re-write on a novel that I must do first. Dramatica : More questions? I love ‘em, doncha know! Wolfman188 : One of these daze, I’ll know enough (have used the software) to ask a good ? Dramatica : All questions are good. Some answers, however, can be stupid. Dramatica : Are either of you local to L.A.? We are having a free Dramatica Basics Class here tomorrow. It runs four hours and covers all the foundations of the theory. Delta Wire : No I’m on the other coast, Cape Cod. I’m afraid it’s a tad too far to drive. Delta Wire : Come to Cape Cod!! Tons of writers here!! Wolfman188 : I’m in Seattle. I’d be there in an instant. Well, I can’t even seem to get home on Fridays. Dramatica : Well, if we get an offer to cover the costs we’ll see what we can work out. Any final questions for the evening? Wolfman188 : Just one. You’d better keep up these Friday meetings. I’m learning a lot. Dramatica : Oh, I’ll be here rain or shine! Not to worry! Delta Wire : Contact the Cape cod Writers Conference they are always looking for speakers. I could send you the address. They hosted Gary Provost for a weekend. Dramatica : Well, if that’s it for tonight…. Delta Wire : Wolfman where do you hail from? Wolfman188 : Thank you, Melanie. I’m in Seattle. Seems I’m always somewhere else. Dramatica : I guess I’ll close THIS chapter! Delta Wire : I’m sleepy see you soon. Dramatica : I’ll be back next week, same Dramatica time, same Dramatica channel! Delta Wire : Thank you Melanie!!! Wolfman188 : This is #12 — right? Dramatica : Think so Ben, I’d have to check the records. Wolfman188 : Good night. And thank you. Ben. Delta Wire : Night, don’t let the bed bugs bite. The Dramatica Theory of story was developed by Melanie Anne Phillips and Chris Huntley, and was implemented into software by Chief Software Architect, Stephen Greenfield.